It appears that Panic! At The Disco are teasing something. 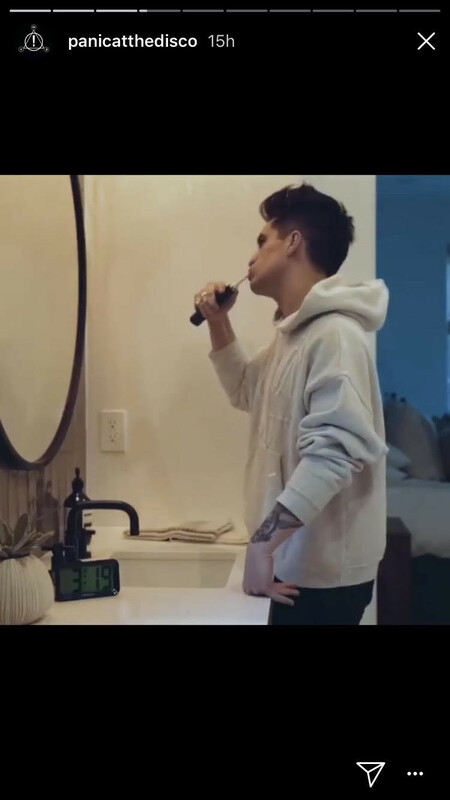 The band posted a stream of videos to their Instagram story last night showing Brendon Urie brushing his teeth, and not a lot else. So what's happening? 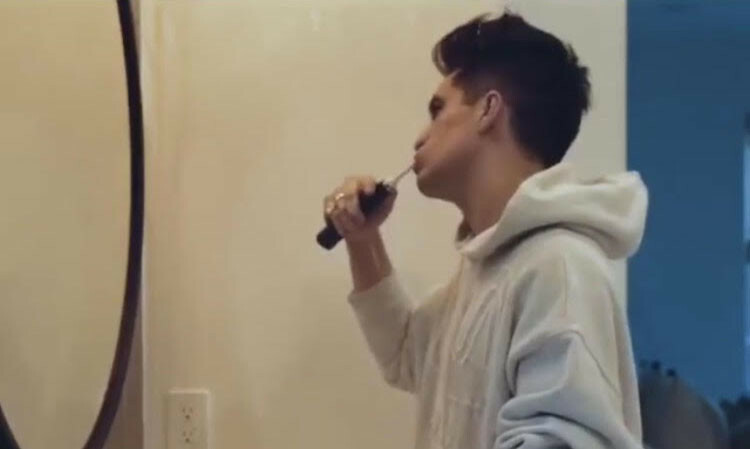 Is Brendon just showing us how to keep our pearly whites at their best? Look a little closer. It appears that the clock beside him reads 3:19 for the duration of the clip. Is there a new song or announcement coming on March 19 perhaps? The post follows a long line of teasing courtesy of Brendon Urie's Instagram Live, including very a short clip of a new song and descriptions of what new songs sound like.